Sagarika Ghosh congratulated poet Javed Akhtar and Shabana Azmi for being the voices of progressive democratic liberal Muslims, (without trying to be Sarkari tokens for Hindu Rashtra), lighting the path for Indian Muslims and adding as if an afterthought, in fact for all citizens. 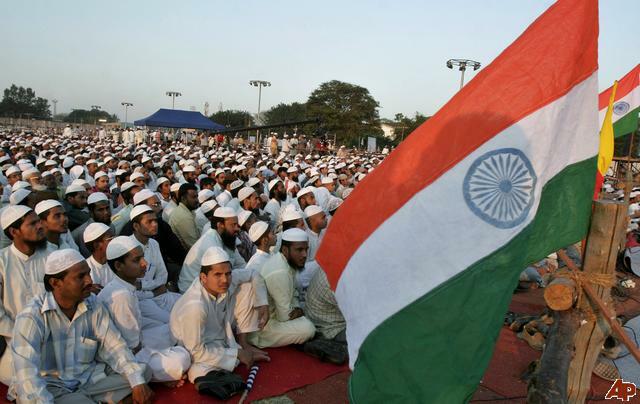 Mr.Javed , a self-proclaimed atheist asked his attacker to confirm to an Indian identity first, while accusing him of ‘borrowing’ his Islamic identity from Saudi Arab, where Muslims don’t even have basic rights. My childhood was spent in a place, where every home was Hindu except two, ours and the Johns. Perfect Amar,Akbar Anthony ambiance. A moderately broad alley led to the homes spread on the uncooked earth, shaped like an elongated rectangle. Right in the middle we had the taps and an earthen tank. It was the main culprit in fostering communal harmony. The women would come with their pots and problems, waited for their turn and would fill up the cisterns of their hearts with well meaning advice, patient hearing and of course, water. Life was astonishingly simple and disciplined in the absence of television; radio being the main entertainment. Angat-pangat would have us kids, sit in a big circle, and eat. Ganpati festival was longingly awaited. Listening to night long Ram Kathas was a norm. Most importantly, we never felt we were doing something different. Why is it that the moment I try to claim back my Indian Islamic roots , I am deemed a fanatic Malechha, not belonging to this country? You haven’t heard names of; Shaikh Chishti Ajmeri, Nizamuddin Awliya , Bakhtiyar Kaki, Baba Fareed, Saints from Maharashtra, prominent Sikh Gurus; some of the greatest spiritual figures from India, given to some reputed institutions? Ghalib, the unparalleled poet, something for him in his own Dilli? Female icon Razia Sultan suffers in obscurity. Wajid Ali Shah? Oh, he was the morally corrupt vagabond last Nawab of Lucknow. If this is your answer, then you must brush up on your history. We don’t find any history museums, educational institutions, airports named after these icons. Sir Sayyad Ahmad Khan is sorely missed. Perhaps Moulana Azad is the only one to escape this fate. Most of ‘our’ icons are conveniently forgotten, among them a significantly large number of freedom fighters. Rulers like Aurangzeb and Tipu Sultan have been rendered controversial. Every November for the latter and round the year for the former, we helplessly watch the spectacle, surrounding them. Aurangzeb has become a ready-made, all time villain, for Congress, Kejriwal and BJP. Want to insult someone brutally, beyond repair? Call him Aurangzeb; more potent than even Hitler. That Aurangzeb had donated hugely for the temples, that his feuds were, ‘political’ in nature, even with his own progeny; that he had even suppressed some schools of thought of Islam he didn’t agree with, fall on proverbial deaf ears. Clueless if India would be a better place with Darashukoh after Shahjahan, but it alerts us to never utter a word in support of his younger brother, lest I get lynched cyberally. I can’t talk about how progressive Tipu Sultan was, but have to hear about his cruel ways with some of the rebels. Almost all the time we have to tip toe around some of these icons, for I do not want to be wrong politically. Bali Raja is the famed King from the South, and Dalits have no compunction in asserting their faith in him. Muslims dare not imagine anything like this. The national emblems become our identities, unify us and represent our collective national conscious and should preferably be an inclusive whole. Hence with Ashoka,Tulsidas; can the Sikh Gurus, regional saints, Akbars , Shahjahans, Chishtis,Kakis, Razia Sultans, Ghalibs and Meers, be our icons and also get a wider acceptance? Thanks a lot for a good article. Believe in the religion of Indian soil which never conserves culture of falsehood, violence, injustice and differentiation based on religion, caste , gender, insiders or outsiders. Truth will be victorious. We are forwarding towards it though the darkened forceses have some gains in present time. Author’s hope is like ” hoping against hope” , but please believe in the religion of our soil. It’s the ‘hope’ that keeps us alive. Thanks for the feedback. A very well written piece. Questions asked are very apt and those answered have been answered convincingly and comprehensively. Thanks. Hope our ‘well-wishers’ too comprehend this. I share the anguish of the author on the matter of questions being asked of people professing a particular faith. Many of these questions are loaded; they either represent the ignorance of the people raising them or, reflect a certain political slant that has come to be ascendant in contemporary society. On the suggestions offered, I would be delighted if some, if not all, get translated in practice. In particular, the suggestion for a Razia Sultana Institute of Women’s Studies, Sher Shah Institute of Administration, and Shahajahan School of Art and Architecture are brilliant ideas. Thank you, Sir. We are happy with all the names but liberals don’t let us breathe and hurl accusations. It is then that we have to speak our mind. Yes, indeed it would be a dream come true if some of these suggestions come true. Also Noorjahan Institute of Horticulture or House of Perfumes? thanks again. We only wish for peace for everyone in our beautiful country. The central issue is it is historic fact that Muslims in past have destroyed many Hindu & Buddhist temples, shrines and learning centers. Present day Muslims can not be hold accountable for those deeds of the past. But Hindus expect Muslims to acknowledge that fact and offer something like offering the Babri Mosgue and a couple in Varanasi as token of their acknowledgement. If Muslims do that there will be genuine reconciliation. It must be noted that other that a former President of Iran, no Muslim leader has ever offered any apology for destruction of Hindu or Buddhist shrines. Talibani destruction of Bamiyan Buddha is very recent example. Nobody has seen any Fatwa issued against Taliban by any Indian cleric, neither had Muslim personal law board has asked any cleric to issue fatwa. So non-Muslims clearly se duplicity of Muslims and secularist Hindus who condemned Hindus for Babri Mosque but not Talliban in any meaningful way. They condemn Gujarat riot but never put genocide of Hindus in Pakistan. Therefore they don’t have credibility among mass of Hindus. Baat nikle gi toh phir door talak jaye gi.